Half way through a half day catamaran cruise and I’m having a silent moment. It’s not every day you get to see Atlantic dolphins in the wild, and right now, I’m not just seeing them, I’m surrounded by them. This is a somewhat different Madeira experience to one I was expecting, and if this is Madeira Reinvented then give me much more of the same please. 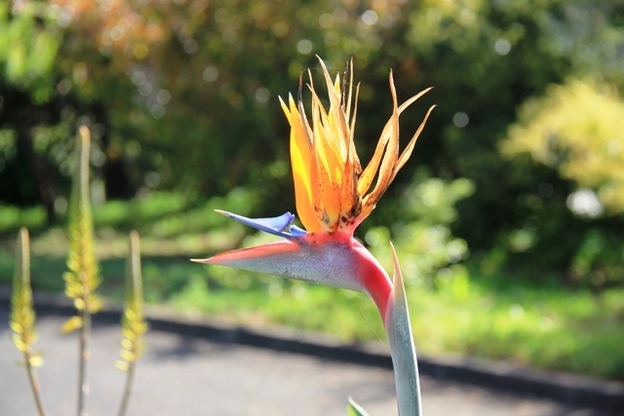 Madeira has often been labelled (unjustly in my opinion) as a magnet for people of a certain age, or perhaps cruise ship central, which I would agree with but only during the cruising season from October to March. The rest of the year, this beautiful semi tropical Portuguese island has its arms wide open for a welcoming embrace and I think you need to take full advantage. 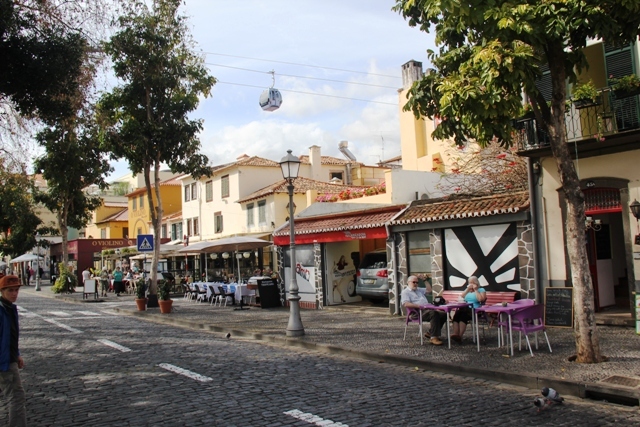 Funchal, Madeira’s capital, reminds me of a miniature version of Rio; surrounded by an amphitheatre of volcanic rock this remarkable town hugs the sides of its mountains offering some spectacular views across the bay from everywhere you turn. 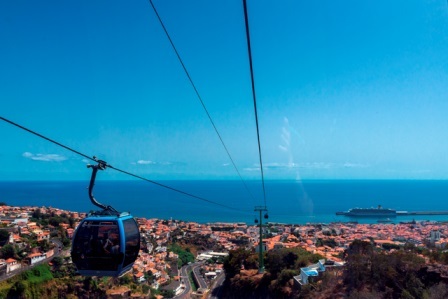 Of course, to get the full splendour of a bay that once held the record for the World’s biggest New Year’s Eve firework display, just take the cable car from Funchal’s old town up to Monte, the tiny village at the top and enjoy a stunning ride. 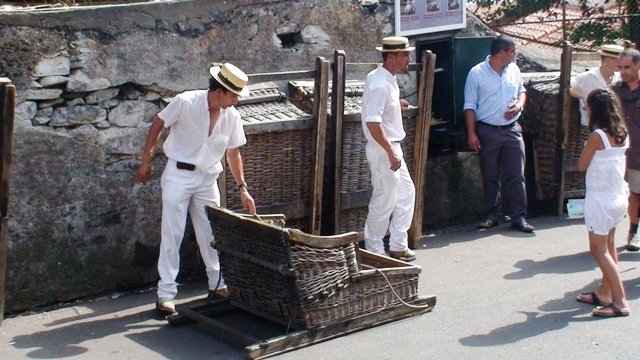 Talking of rides, sliding back down on a wicker sledge with wooden runners, driven by two men dressed in white and wearing straw boaters is a custom not to be missed too. 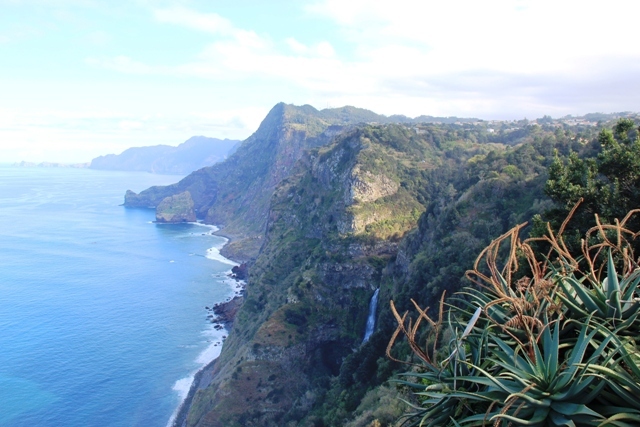 This is all good of course, but I wanted to experience Madeira away from the bright lights of Funchal and for me, this is where the island’s magic really happens; her mountainous middle providing a canvas of adventure opportunities from hiking and rock climbing to hang gliding, golf and downhill biking. A far cry indeed from blue rinses and gardening. 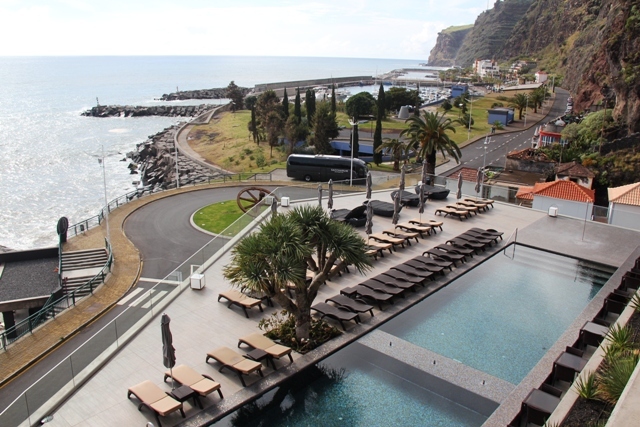 I’m based for a couple of nights at Calheta on Madeira’s south west coast, a half hour drive from Funchal, at the new Hotel Saccharum, a luxury hotel whose theme reflects the golden age of Madeira’s sugar cane industry, when rum was the major source of income.. It’s a tranquil spot perched on an outcrop of rock offering up endless miles of Atlantic Ocean views, which look even more enchanting from the decking of the infinity pool out front. 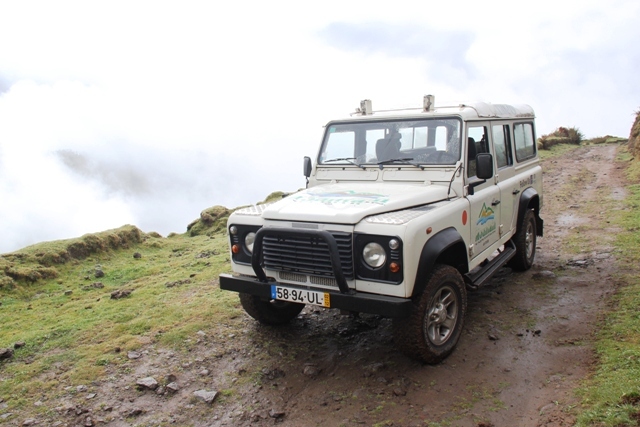 Today John is taking me on a Land Rover off road safari across Madeira’s centre, most of it national park, and out to the north west coast at Porto Moniz. After driving along the coast John takes a left away from the ocean and soon we begin climbing some steep roads, passing clutches of houses, most in pristine condition, and surprisingly coloured pink. 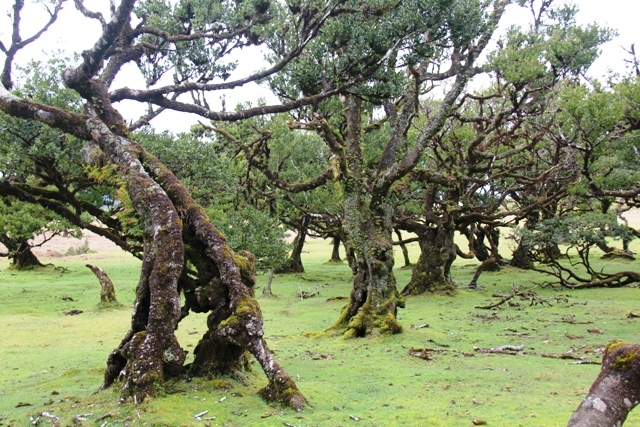 As we climb further, mountain forest takes the place of dwellings and national parkland beckons; dirt track, the smell of eucalyptus trees permeates together with copses of mahogany. We get out and stand in sunshine and look at the peaks all around us. 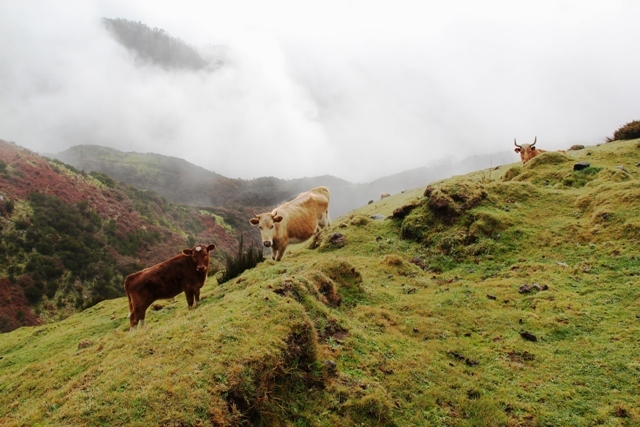 There are grassy valleys and eerie silence, A few cows stroll by and pause to chew some pasture grass, gazing at us with big brown eyes as they chew lazily. This is my idea of heaven. 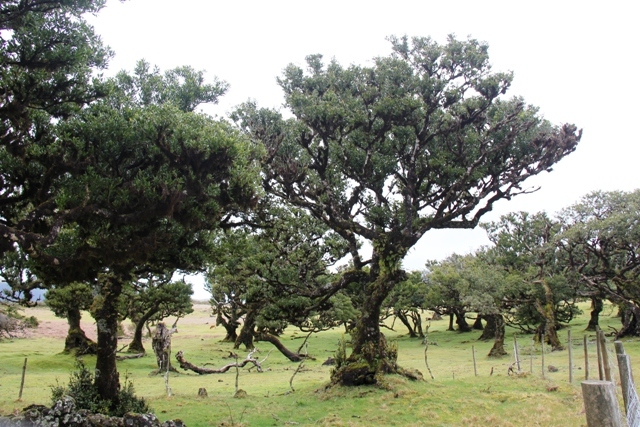 Back in the Land Rover we travel on and reach Fanal, a forest of ancient Laurel trees. They are shrunken, almost petrified, yet alive and well. Interesting. Ghosts and relaxation, these Madeirans like a strange mix. Another hour of glorious views and we reach the north west coast and Porto Moniz, a small coastal resort with a star attraction. 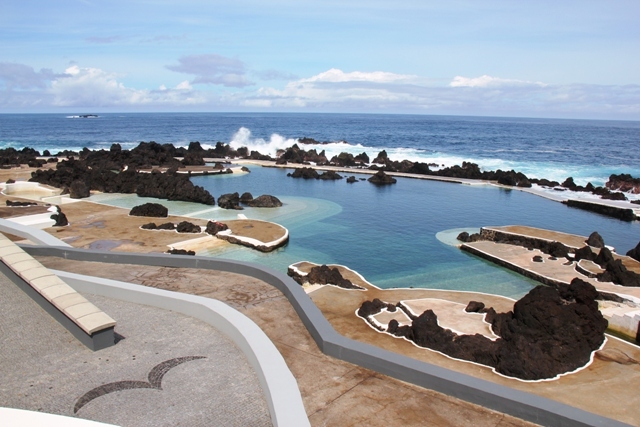 That star attraction is an intriguing set of natural lava pools filled with ocean water and big enough to swim in. 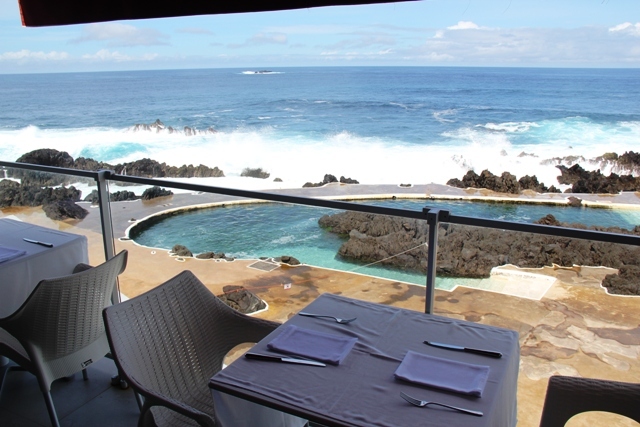 We enjoy a delightful lunch on the terrace of the 4 star Aqua Natura Hotel, a family owned hotel perched right next to the drama of the lava pools and the Atlantic. The ocean is quite different here. Angry and turbulent. 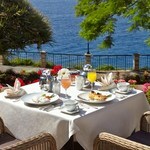 The waves crashing in and carving stunning rock architecture, and sitting here on the terrace we have a front row seat. John gets me back to Hotel Saccharum the quick way, using Madeira’s extensive tunnel network to navigate through the mountains. It has been a day filled with a sense of the outdoor. A day when Madeira showed off her hidden side. A day I’ve really enjoyed. A new day and a different hotel. 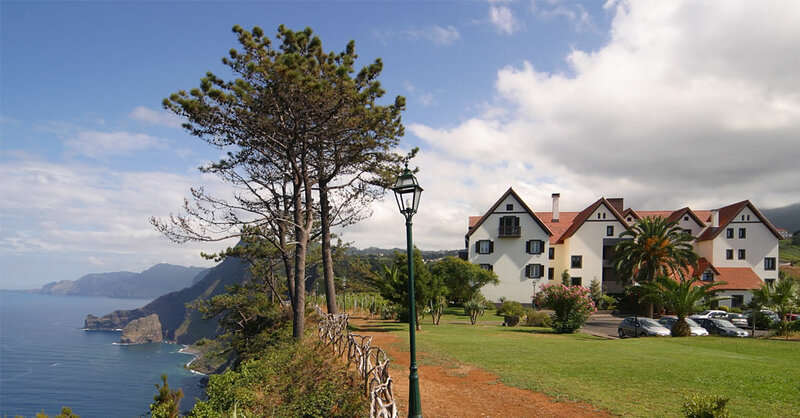 A switch across to the north east coast and just outside the lovely town of Santana set high on a cliff top is Quinta do Furao, a simply stunning hotel set among rolling vineyards and ocean views. 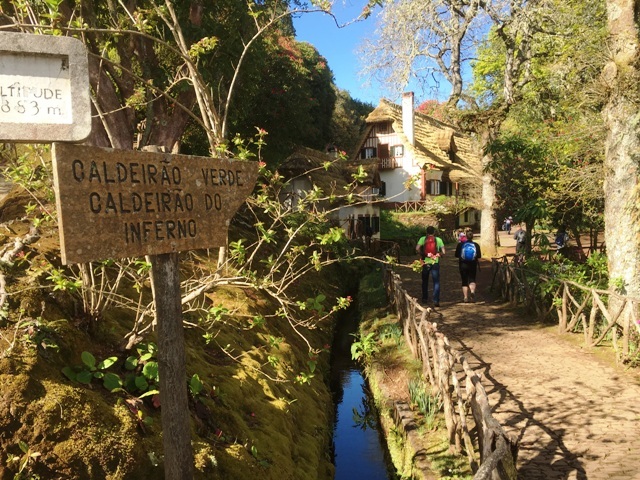 Today I am walking one of Madeira’s historic Levadas, the Caldeirao Verde Levada. 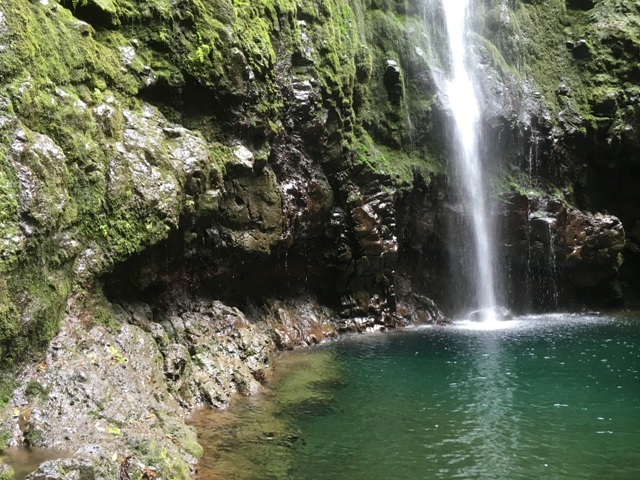 Madeira’s Levada network is an ingenious irrigation system built in the 16th century to transport rain water from the north coast across to the more arid south where it was needed to grow sugar cane and bananas. These narrow channels hewn from rock expanded to over 2,000 kilometres across the island, running through man-made tunnels, around mountain sides and down valleys and became perfect trails for trekkers, allowing walkers to see parts of the island which would be impossible by car. Thrown together, we bond quickly as we navigate the 6.5 k each way route led by Jao an experienced guide who assures me he will “bring the Levada to life” as we walk the ancient trail. From a forest start, the path narrows as we start to wind our way around the mountains; the Levada channel a constant companion on our left side. John and Doreen clearly used to Yorkshire walking stride ahead, while Dan falls behind taking a phone call. “Was that a call from the space station?” I ask sensing an intergalactic joke opportunity. I suspect Dan is not the joking type. 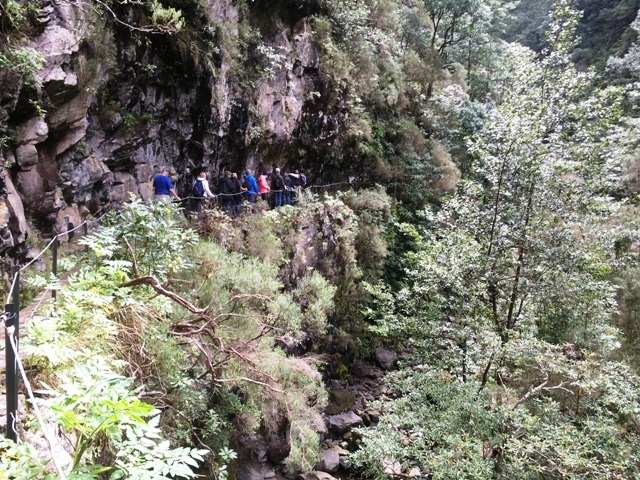 We’re now walking along the narrow top of the Levada wall in a tight section where there is no path. Jao explains some of the flora and fauna and spots a rare bird hiding in the brush. We stop on a clearing high up on the trail where Jao points to an island far out at sea. It is a strange feeling walking along a narrow wall trying to avoid hitting your head on rock with just a dim beam to guide your way. Dan mutters something about ” torte lawyers lining up at the tunnel exit if this was in the USA ” as he cracks his head on a low hanging piece. Nevertheless we emerge more or less unscathed from our four tunnels and reach our destination, Caldeirao Verde; a huge waterfall rock pool, where we sit and relax for a while, eat some snacks and take on water before returning the same way back to the van. On the way back to Santana the group give a resounding thumbs up for a great walk. The weather was perfect as were the views. 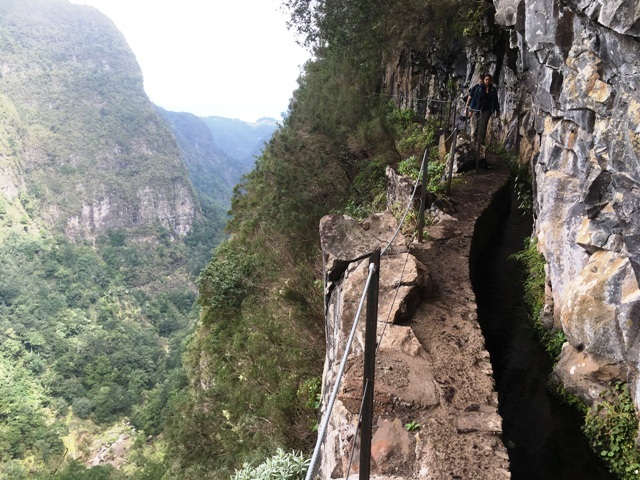 There are many Levada trails to choose from, from easy to difficult, and they can be walked solo, but for me it always more enjoyable as a group particularly when you have a local guide who can bring it all to life. “We’re doing canyoning next” says John who has transformed into something of a superhero in the few hours we’ve known each other. 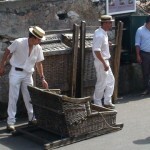 Who said Madeira was only for old people! 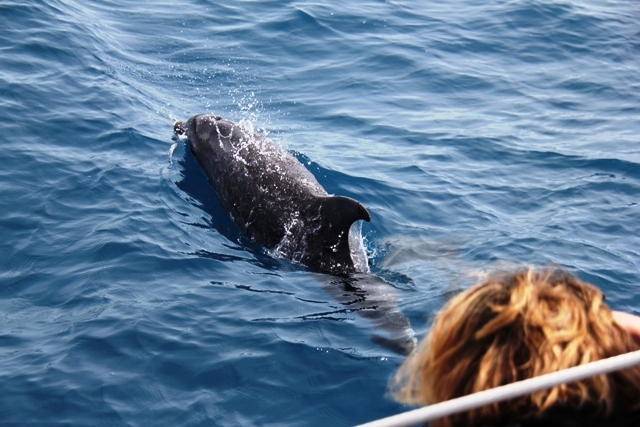 Back on my catamaran, the dolphins are still with us. 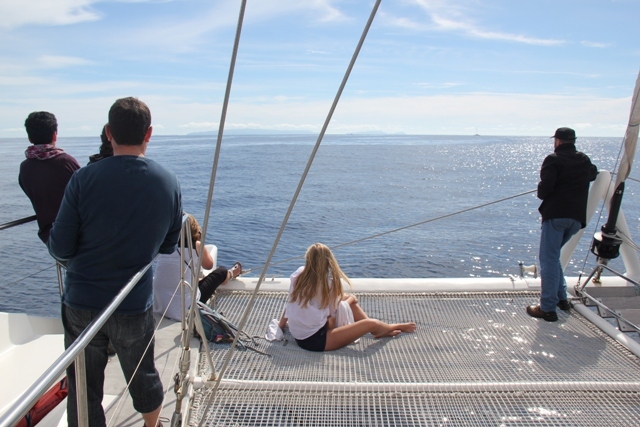 Circling and jumping and playfully teasing as we reluctantly turn back to Funchal harbour. They know we’re leaving of course, as with a wave of a fin they’re gone, off to find another boat to play with. 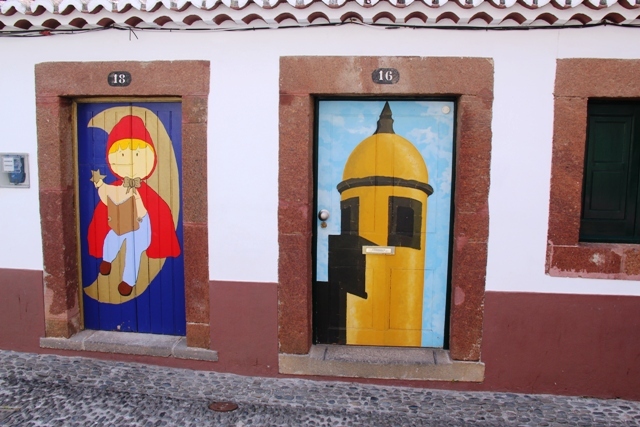 Much like Madeira Reinvented I suppose, there’s always another adventure nearby. 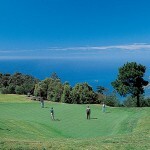 Monarch operates regular flights to Funchal from Gatwick as do many low cost carriers. Land Rover Safaris Using classic Defender. Guides speak English, French, Spanish and German. Full day tours from €45 per person.